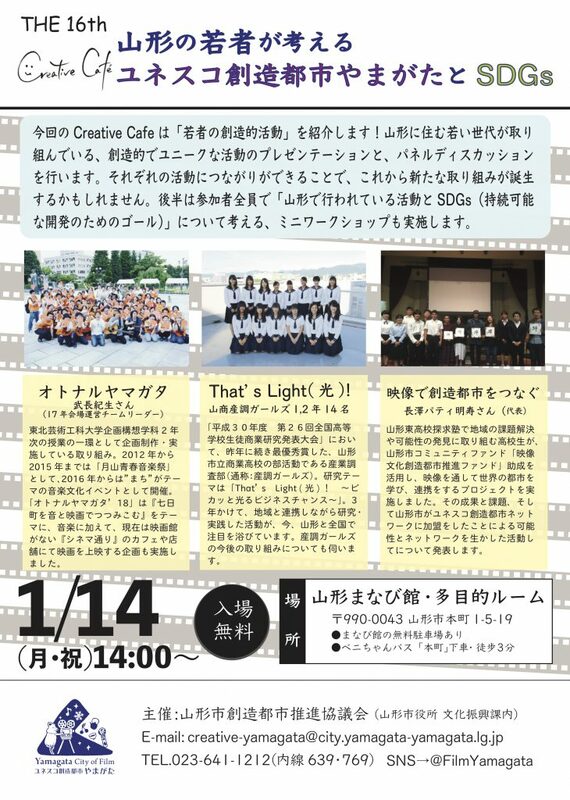 Creative Café ~ Tea Time vol.4 ~ will be held on Wednesday, 19 Dec. 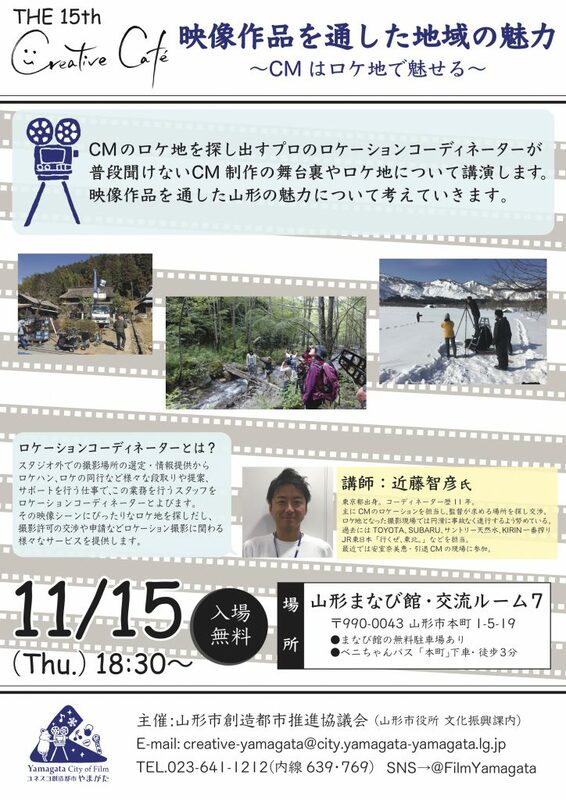 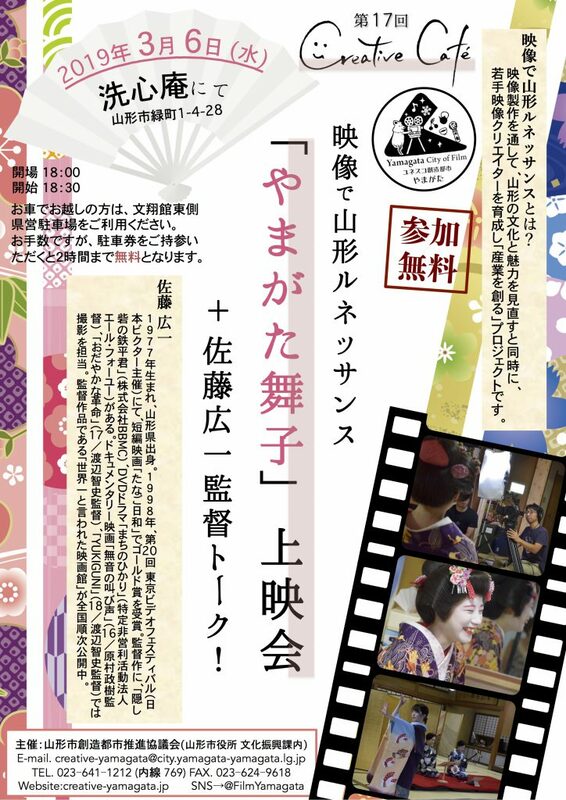 The 15th Creative Café “Local attractions through TV commercials” will be held on Thursday, 15 Nov. 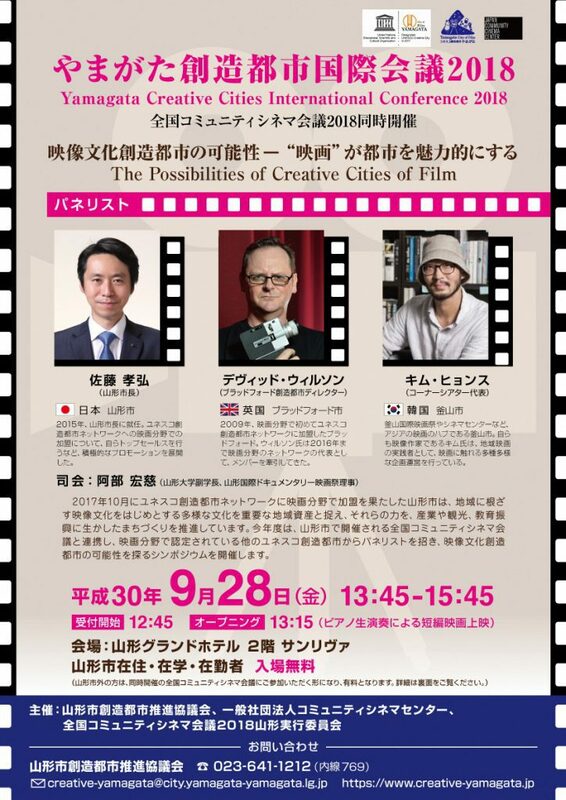 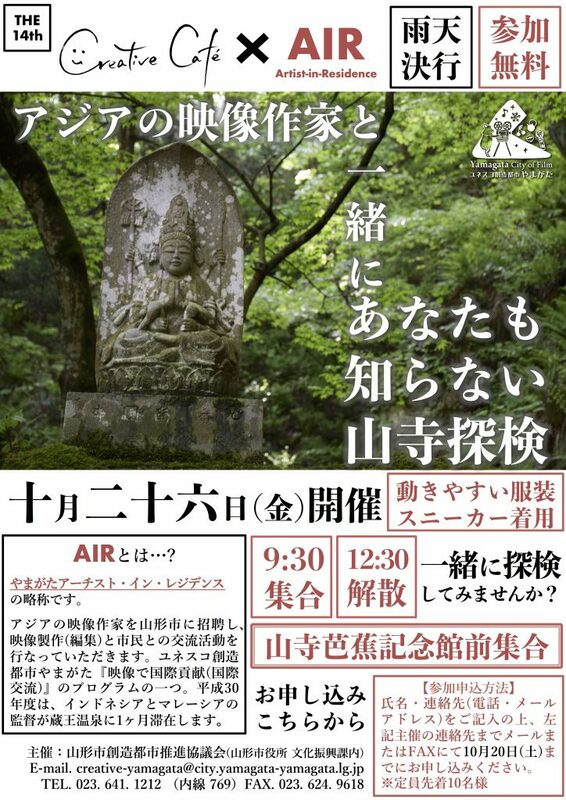 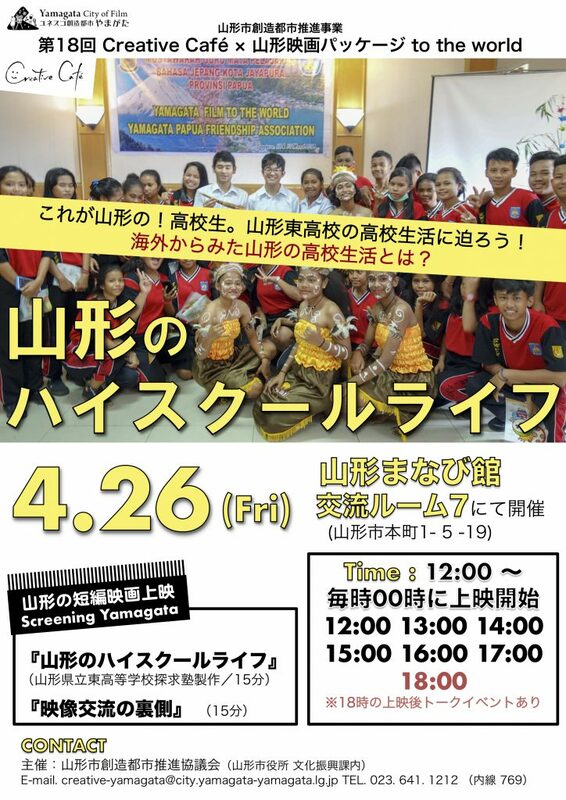 The 14th Creative Café “Discovering Yamadera with AIR directors” will be held on Friday, 26 Oct.
【Yamagata Creative Cities International Conference 2018】will be held on 28 September 2018! 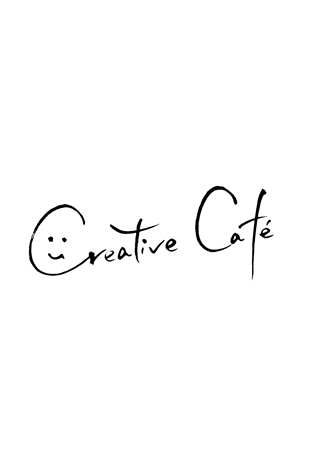 Creative Café ~Tea Party vol.3 ~ will be held on Thursday, 20 September.